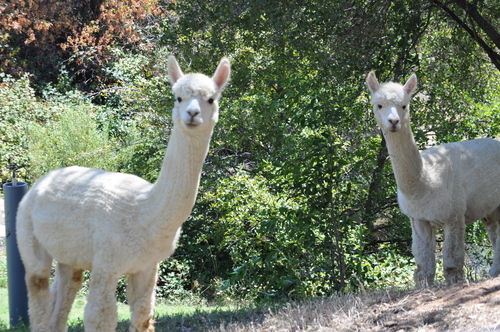 Belvoir Mine Alpacas is a farm located in Newcastle, California owned by Shalon Smith. Living the Alpaca Lifestyle and Loving it! 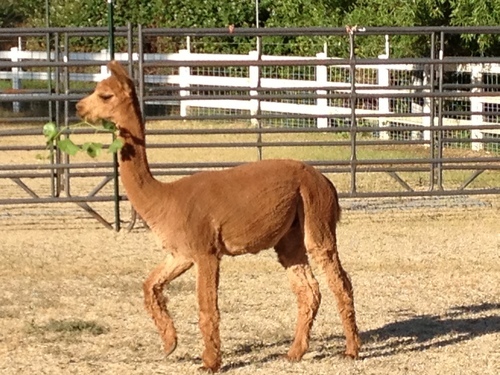 Missed National Alpaca Farm Days? No problem. 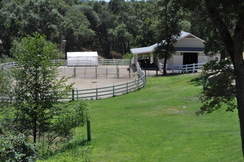 Contact me by phone, email or text to schedule your own private Ranch tour. Bring the whole family and your cameras to get up close and personal with our alpacas while shopping our boutique of incredible alpaca products. Start your Christmas shopping early! In the heart of Ophir! Welcome to Belvoir Mine Alpacas. 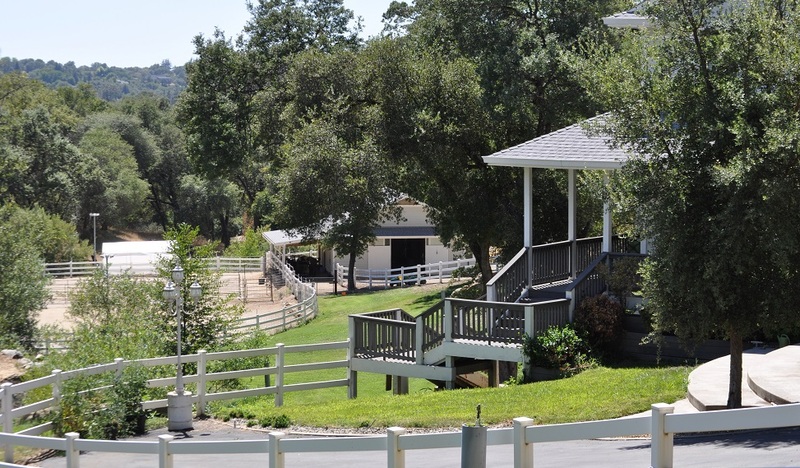 We are a family owned and operated Alpaca Ranch nestled in the Sierra Foothills on the border of Auburn and Newcastle in the heart of the gorgeous community of Ophir. Our ranch is currently home to 40 huacaya alpacas (owned and boarded), 1 Suri Alpaca, three dogs, chickens and plenty of room to grow. 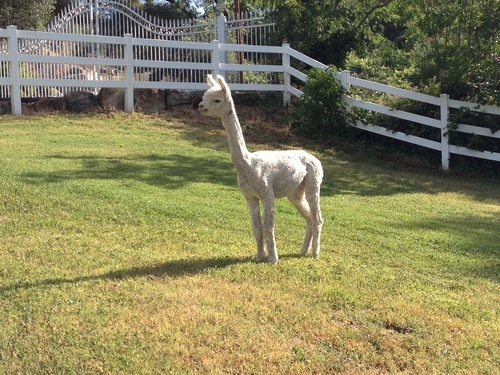 We are now offering alpaca boarding services, a boutique with beautiful alpaca products, “Alpaca Black Gold” fertilizer and compost, raw alpaca fleece and yarn in a variety of colors, beautiful products made of alpaca fleece and alpaca sales. When we decided to move back to Placer County we had a very clear vision of our future. We wanted to create a lifestyle where I could be at home every day to raise our son while building and running a successful business. During our search to make our vision a reality, I luckily stumbled upon two of the most wonderful mentors and now friends; Ken and Lisa Theis of KT-Lee Ranch Alpacas (www.ktleeranchalpacas.com) in North Fork, Ca. While living in Bass Lake for two years, I noticed their signs to their ranch which read “Alpacas” and “Boutique”. My curiosity got the best of me so I followed the signs which lead me to my future of owning and raising alpacas. I volunteered at their ranch for a year where I was taught the ins and outs of the animals, the industry and especially herd health. Before I knew it, I was in love with these incredible animals and had to have my own. So before we knew it, we had purchased our initial herd of 14 huacaya alpacas (6 pregnant females, 2 maiden females and 6 males) and have not looked back. I have volunteered at a variety of alpaca shows, attended seminars and symposiums on Neonatal care, fleece processing, breeding, herd health, behavior, feeding, illnesses and a variety of others to gather as much information as possible to help prepare us for our new venture. I am currently in the process of earning my Certified Classer Certificate by the Natural Fibre Testing Lab and the Olds College Centre for Innovation. So if you are interested in learning about alpacas, the benefits of owning alpacas, their products or how to “Live the Alpaca Lifestyle”, please feel free to contact us. We are Living the Alpaca Lifestyle, Loving It and You Can Too!